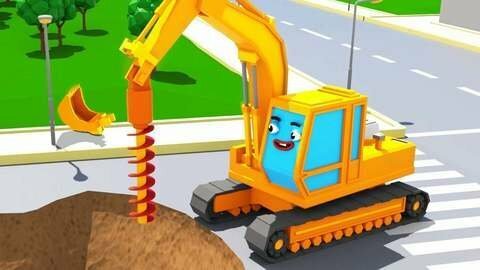 Have a great time watching the yellow Excavator in his everyday adventures in this 3D car cartoon. His first adventure involves chasing after his soccer ball. He also cooks broccoli and digs up a vault that he can’t seem to open easily. Enjoy the everyday adventures of other cars by visiting their channel at SeeZisKids.com.